Hair braiding in its simplest form is the practice of weaving three groups of hair into a single strand. Many more complex braiding styles exist and can be seen everyday. Often long hair is braided to keep it secure and out of the way. In addition to its usefulness it has become an art form often seen in women's fashion. For tens of thousands of years braiding hair has been a part of human culture and varies greatly in its aesthetic and cultural significance. 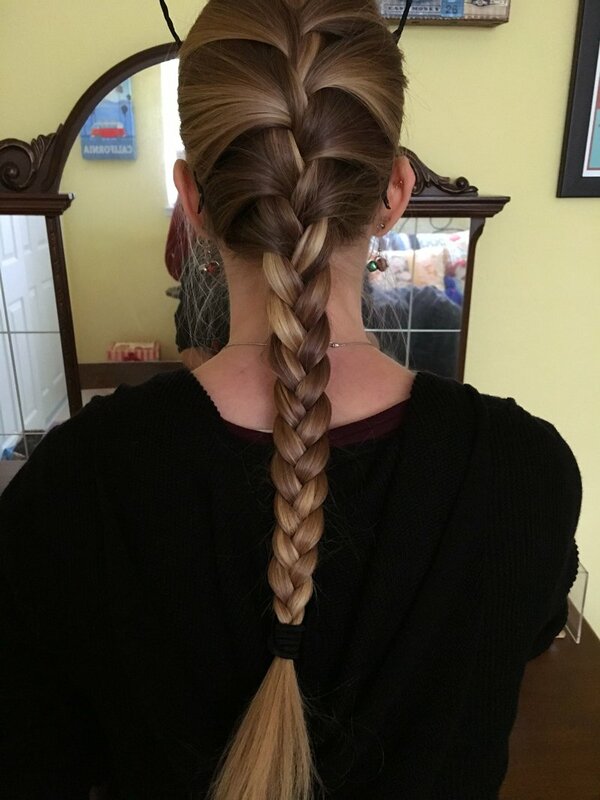 Pictured below is a "French Braid" which integrates hair from the top and sides of the head into the braiding pattern.